This time it's a Video Game themed special. There's much crossover between animation fans and gamers.. but you don't have to be a joypad junkie to enjoy these shorts! 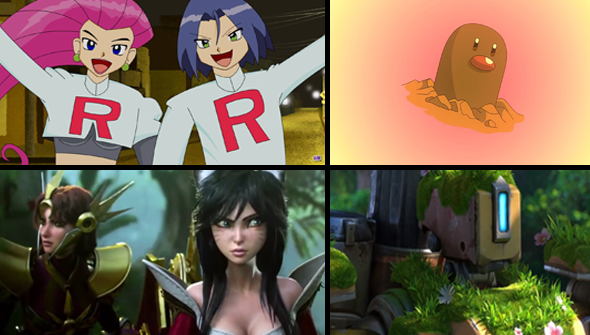 Everyone has been talking about Pokemon Go this summer.. so it's no big surprise that has included animators. Mashed's hilarious Game in 60 Seconds (featuring Nicolas Cage) has inevitably turned its attention on everyone's favourite pocket monsters. Now that Overwatch, has been out for some time, we assumed that Blizzard was finished with putting out animated shorts. We were delighted when they surprised us with a fifth brand new animated short- Overwatch: The Last Bastion. The previous shorts have shown an incredibly diverse range of settings and tones.. and the new one is no exception. With an unexpected Studio Ghibli influence, this latest short is another damn fine piece of work. This next one is not new, but it may have flown under your radar if you're not a big online gamer. This tie-in with the big hit League Of Legends is an impressive CGI effort with appealing and distinctive character designs and some well-executed action. Fantastic stuff! And finally... more Pokemon Go related fun, this time from the always reliable Mr Weebl. We will say no more than that the title 'Bad Pokmon Go Locations' is very fitting.. as is the warning that it contains mature themes. Very funny.